VPS hosting is the perfect and economical hosting solution for web owners. Our Japan VPS Server Hosting gives you full control in your own hands. There is no need to share any space with other users anymore as VPS provides you with personalized cloud server hosting. Onlive Server is committed to serving every customer with the best features, high speed and professional, and round the clock available customer assistance. 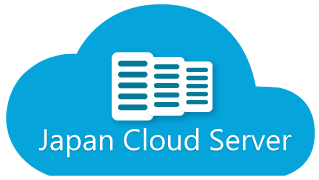 We have a low Japan VPS Server Hosting Price starting at just $17/month. With the use of advanced technology, we provide you Cheap VPS Server Hosting in Japan with processors up to 4Core × 2.5 GHz, up to 16 GB RAM, up to 300 GB HDD. Our Japan data centers are built on top enterprise-grade infrastructure. As we know the importance of speed and security in business, we combine this technology with high levels of flexibility, ultra-fast connectivity and exceptional levels of on-site and server safeguard. Uptime Guarantee: We offer high network uptime guarantee across our services. Quick Response: Our experts with technical knowledge offer you top-notch customer service 24/7/365. If you come across any issue anytime, We’re just a call away. You can also email or simply leave a message. Our experts solve your issues in a matter of minutes. Fast Loading: We are the reliable Japan VPS Server Hosting Provider, delivering services around the world to provide you ultra-fast loading speed. Upgraded Plan: You get the full freedom to customize your server any time with minimum downtime. Reliable Hardware: We are a leading Japan VPS Hosting Company and uses the latest hardware platform to ensure maximum performance. 24/7 Service Monitor: Our professional team oversees the servers all day and night to detect potential threats.